It is with a great deal of mixed emotions that I am announcing that Gerald DeMello has decided to retire, effective December 31, 2012. Gerald has served as director of University Relations since January 1991. For the past 21 years, he has been an indispensable advocate for the university and a major reason for the growth and development UH Hilo has enjoyed during that period. His outreach to Big Island legislators, federal and county officials, business, labor and community leaders has created a highly effective partnership with the university that has resulted in some of the most significant capital improvements in UH Hilo’s history. There is no question that Gerald’s big-picture vision for “the university that can be,” and his genuine enthusiasm for UH Hilo, are strong selling points. His personality and professionalism have also played a big role in opening doors and creating opportunities for the university that may not have been possible without him. His capacity for getting a meeting at just the right time with key decision makers has often been the key to UH Hilo’s success, and with Gerald on the team, UH Hilo has had many successes. Although we will miss Gerald, he has worked tirelessly throughout his career and deserves the opportunity to spend more time with his family. I know all of you join me in wishing nothing but the very best for Gerald as he embarks on new adventures. A search for Gerald’s successor will be underway shortly. The University of Hawaiʻi at Hilo announced today that 19 students from public, private, and charter schools in Hawai‘i will receive a 2012 Chancellor Scholarship valued at $23,520 and covering four years of tuition. The 2012 recipients are a diverse groups of students comprised of 10 women and 9 men from the islands of Hawai‘i (9), O‘ahu (6) and Maui (4) who were selected from more than 90 applicants. UH Hilo Chancellor Scholarship recipients have graduated from a Hawai‘i high school with either a grade point average of at least 3.5, a combined 1800 SAT (reading, writing, math) or a composite score of 27 on the ACT, while demonstrating leadership and/or community service. The 2012 cohort has an average high school GPA of 3.83, with four students scoring 4.0 or better. The average SAT scores for reading, math and writing were 622, 607 and 560 respectively. Chancellor Scholarship recipients are required to enroll as full-time students at UH Hilo, stay enrolled continuously, maintain a cumulative GPA of 3.25, and participate in leadership activities and/or community service. Chancellor Straney officially announced yesterday that the University of Hawaiʻi at Hilo will have a permanent vice chancellor for administrative affairs starting June 1. Marcia Sakai, former dean of UH Hilo’s College of Business and Economics, who has been serving as interim vice chancellor for the past year, has been named to the position. 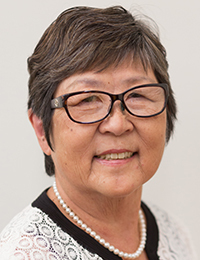 MEDIA RELEASE–University of Hawaiʻi at Hilo Chancellor Donald Straney announced that Marcia Sakai has been named vice chancellor for administrative affairs. Sakai will assume her permanent duties on June 1, 2012. Since June 2011, Sakai has served as interim vice chancellor for administrative affairs. “Dr. Sakai has demonstrated the outstanding leadership qualities that this position demands and has made progress toward improving campus-wide efficiency in several areas under the administrative affairs unit,” Straney said. 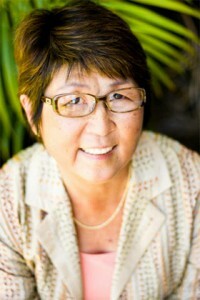 Sakai has been a UH Hilo faculty in business administration and economics since 1991 and holds the rank of professor in tourism and economics. 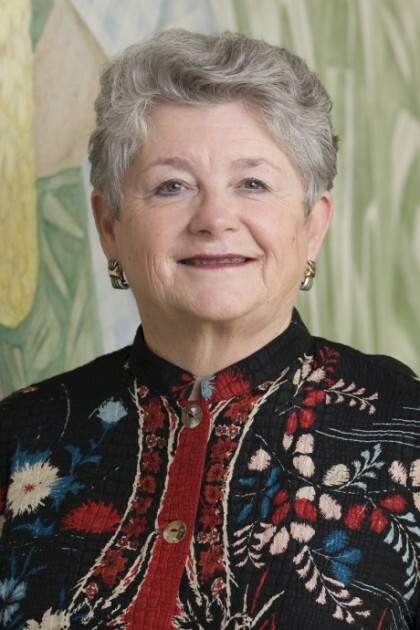 She served as interim dean of UH Hilo’s College of Business and Economics when the college was established in 2004 and was appointed dean in 2005. She led the college through its initial accreditation by the Association to Advance Collegiate Schools of Business-International. Since her arrival at administrative affairs, technology improvements and upgrades through the Office of Technology and Distance Learning (now called the Office of Campus Technology) have resulted in 85% of wireless coverage across the campus. Several classrooms on campus were upgraded to multimedia smart classrooms and upgrades and installation of additional wireless access points. “Dr. Sakai is a leader in the campus’s effort to encourage energy conservation and expenditure savings by reducing energy use through the establishment of an energy management plan,” Straney said. For the winter break period of December 17, 2011 through January 2, 2012, the reduced use of energy resulted in an estimated savings of $68,493. The management plan includes installing and monitoring sub-meters for all buildings and partnering with Hawaiʻi Community College and community entities to pursue energy-savings initiatives. President Greenwood will be providing an update on various UH initiatives and there will be a question-and-answer period. The annual University of Hawai‘i systemwide food drive is officially under way and runs through April 27, 2012. The Campus & Community Service (CCS) Program is currently collecting food and monetary donations from UH Hilo students, staff and faculty on behalf of the Big Island’s East Hawai‘i Food Basket. The Food Basket collects and distributes nutritious, high quality food to low income households, the working poor, the disabled, the ill, senior citizens, children’s programs and other charitable organizations. Collection containers can be found at various departments throughout campus with the final pick up scheduled for April 27. Should a department fill up its container prior to the collection date, please contact CCS at (808) 974-7381 or e-mail talaite[at]hawaii[dot]edu to arrange an early pick up. Thank you in advance for your participation in this worthy cause to assist the needy in our Big Island communities.